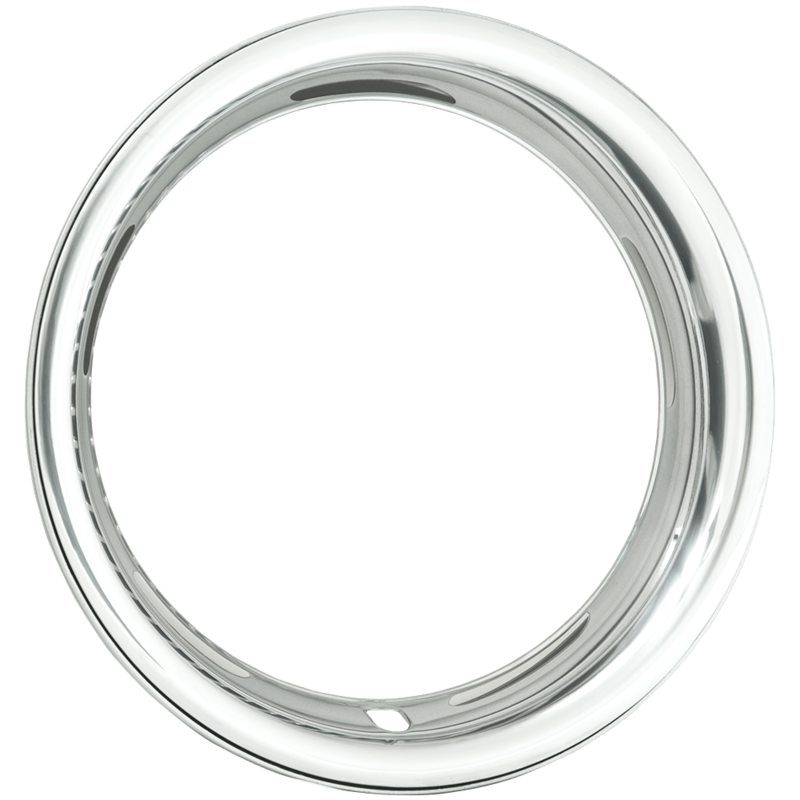 This stainless trim ring is 15 inch x 2 1/2 inch round. 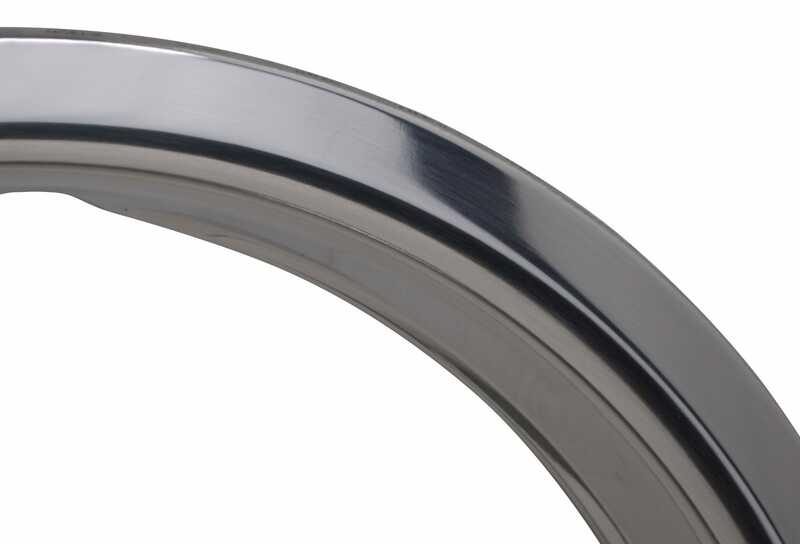 These 15 inch wheel trim rings feature a smooth 2.5 inch round profile. 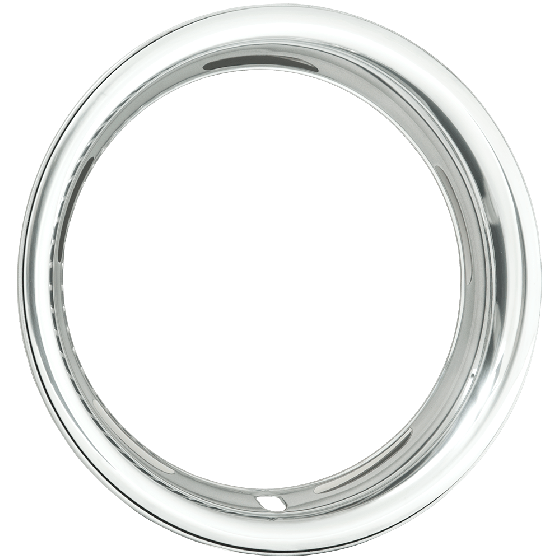 This wheel beauty ring is built using quality stainless Steel construction and is a great way to enhance a set of new or original steel wheels. The smooth, rounded profile is great for custom and stock applications! Hello are you able to tell me if your 3001-A trim ring and the 3002 are matching in appearance. Yes, the 3001-A is recommended for 15x7 sized wheels while the 3002 is for 15x8 and larger wheels. How do measure the depth? Trim ring depth is related to the distance from the outer wheel flange, where weights are attached, to the point where the center section is welded to the rim. The 2 1/2 inch trim ring will have the most similar appearance to the 3 inch currently on the rear wheels.